Share markets on Friday: Main losers on Sensex pack in the morning session were Vedanta, YES Bank, Power Grid, SBIN, ICICI Bank and Sun Pharma. Share markets on Friday: Main laggards on Nifty pack were India Bull Housing Finance, Grasim and SBIN. Benchmark equity indices opened on a negative note on Friday on intense selling mainly in banking, power and healthcare shares amid negative Asian cues. However, the indices recoiled later and were hovering marginally higher in green. 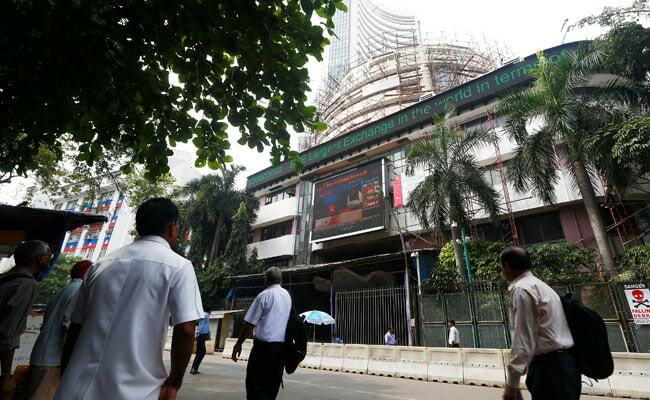 At 11:36 am, the S&P BSE Sensex rose 35.27 or 0.09 per cent to trade at 38,278.08. The broader Nifty50 was trading at 11,555.25, up 18.35 points or 0.16 per cent. Asian shares carved out a 14-month trough on Friday as investors feared a new salvo of Sino-US tariffs could come at any moment, while a slump in US chip stocks rippled through the tech-heavy region. Main losers on Sensex pack in the morning session were Vedanta (-0.72%), YES Bank (-0.93%), Power Grid (-1.31%), SBIN (-1.35%), ICICI Bank (-1.63%) and Sun Pharma (-4.57%). Main laggards on Nifty pack were India Bull Housing Finance (-0.75%), Grasim (-0.58%), SBIN (-0.52%), Tata Motors (-0.48%) and Bajaj Finance (-0.44%). According to brokers, foreign portfolio investors (FPIs) continued selling on the domestic bourses. They sold shares worth a net Rs 455 crore, while domestic institutional investors (DIIs) made purchases to the tune of Rs 611.98 crore on Thursday, provisional data showed. The Indian rupee opened on a positive note on Friday and was trading marginally higher by 4 paise at 71.95 against US dollar. In global commodity markets, oil prices were stable on Friday, as the market balanced a fall in US crude inventories to the lowest levels since 2015, with Sino-American trade tensions and economic weakness from emerging markets. On the other hand, major gainers in the 30-share Sensex pack in the session were Bajaj Auto (+2.76%), HeroMotoCorp (+0.88%), Mahindra & Mahindra (+0.50%), Tata Motors (+0.37%), Hindustan Unilever (+0.34%) and Coal India (+0.28%). UPL (+0.42%), Hindalco (+0.17%), Lupin (+0.11%), Dr Reddy's (+0.06%) and ZEEL (+0.06%) led the pack of Nifty gainers.